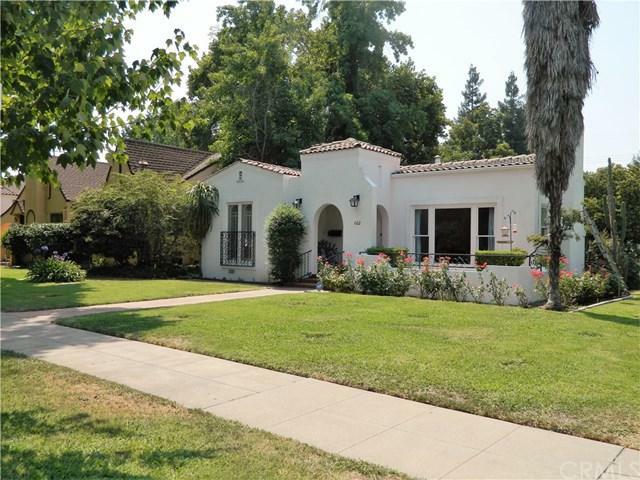 This charming Spanish-style home in a desirable central Merced neighborhood is close to shopping, schools, the Bear Creek bike path and public transportation. A master-bedroom addition 15 years ago, added a spacious bathroom with a claw-foot tub to what was originally a third bedroom. French-doors off the bedroom open up onto a pergola-covered patio and a view of the quaint back yard. The sunny front porch is a great place to relax and enjoy one of Merced's finest picturesque tree-lined street. For the woodwork enthusiast, the garage has a workshop and is fitted for a compressor.Hard-wood floors and coved ceilings add to the charm of this home. Owned solar and a solar-powered hot water heater make for an energy-efficient abode. Another interesting and fun perk about this home is that it+GGs the drop-off site for the CSA vegetable boxes and the owners receive theirs for free. Check this home out and make it yours! Sold by Mallory Carter of Red Shoe Real Estate.